Below is a generic checklist of what’s required when getting a mortgage. Each item can be expanded to provide more details of exactly what’s required. We do our best to also provide an explanation on why each document is required. It may take you 30 to 45 minutes to gather all these documents spending on your organization skills and personal circumstances. Please upload the documents to our secured loan document portal and call us if you have any questions. Mortgage paperwork is a beating. We know. Please don’t shoot the messenger. Please let us know if you have any questions about the mortgage document checklist as we’re here to help. To qualify for a mortgage you will need to apply online and get pre-approved by and submitting your supporting mortgage documents. To get pre-approved you will need to submit the documents notated by the “#”. Please make sure your driver’s license is legible. We recommend you take a picture of your license with your phone and send it to us. Provide a brief letter of explanation if the address listed on your driver’s license is different than your current address. (Note: Texas considers your license invalid after 30 days of moving to a new address). Please be sure to call us if your driver’s license will expire before your closing date. While this isn’t an issue 99.9% of the time, we have had an instance where a second lien lender took issue with an expired license. We are checking for this but please be proactive so we can all plan accordingly. You will need to contact your insurance agent within 48 of executing your contract to setup your coverage. Send us your Agent’s name, phone number, and email address. We will contact your Agent directly to get the insurance declarations page (“dec page”). Note: in some cases (like USAA) you will need to call and give them permission to speak with us about your file. 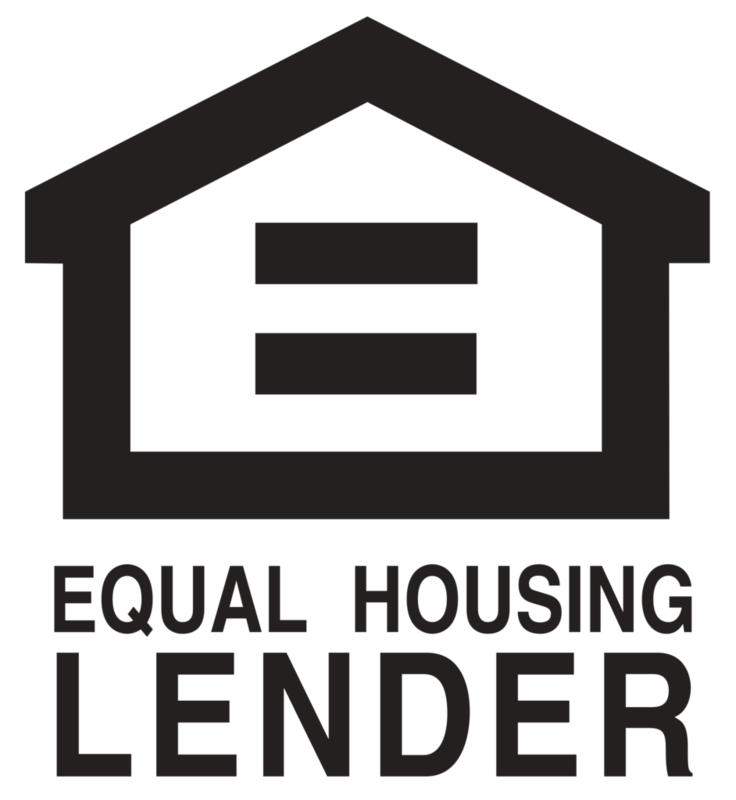 For purchase loans, the Realtors typically provide this to us. For refinances, this should be a part of your closing papers from when you bought the home. Please let us know if anything has changed on the survey and changed the “foot print” of the house or the property. For example: addition on the house, added a new pool, put a new fence or gate, extended the patio and/or an outside kitchen, etc.). See Why A Lender Won’t Use Your Survey. Please be sure the survey includes the State Seal and the Surveyor’s signature somewhere on the survey. Please provide name and phone number of HOA so we can call to procure a condo questionnaire about the complex. Please note that the HOA may charge you a fee to complete this questionnaire. Pay stubs must show Year To Date (YTD) income and employer’s name. Please let us know if you have had a change in pay (i.e. raise, change in commission structure, etc.) within the last 12 months. Please provide the name, phone number, and email address of your HR, Manager, etc. that we can call to get a Verification of Employment form completed. Note: we will also call this person again within 48 hours of closing to ensure you’re still employed at the time of closing. Please provide ALL W2’s for these years. We know the figure is shown on the tax return BUT the W2 helps verify the employers. (Example: if someone has multiple employers in a year the W2s verify the income breakdown). We do need all pages and all schedules of your tax returns. Please let us know if you would like for us to reach out directly to your CPA to get copies of these returns. NOTE: if you haven’t filed 2017 taxes then send a copy of your extension AND 2015 & 2016 Tax Returns and W2s. Please send your employment contract if you are a contract to temporary employee. If you do not have a contract then please let us know immediately to ensure we update your file as your job status may change your approval. Please note that someone is considered “self-employed” if they own 25% or more of a company, partnership, LLC, trust, etc. The K1’s verify your percentage of ownership in a company. NOTE: send 2015 & 2016 K1’s if you don’t have 2017’s K1’s. NOTE: if you haven’t filed 2017 taxes then send a copy of your extension AND 2015 & 2016 K1s and Business Tax Returns. A Year to Date Profit and Loss Statement is required if closing on your loan April through December. Without question verifying Acceptable Funds is the most “annoying” part of the paperwork process when applying for a home loan. Please read this section carefully as we truly need what we’re asking for. Please provide ALL pages of the last two months of bank statements. Example: If it says page 1 of 4 then we need all four pages, even if page 4 is blank. Note: Online printouts/screen shots will NOT be sufficient. The statements need to show your name and full account number and online printouts typically don’t show this information. Please let us know which account the funds for closing are coming from. Once the option and earnest money checks have been cashed, please provide a copy of the canceled checks (front and back) AND an updated bank statement showing those checks have cleared. If you’re building a home then it may be prudent to get this documentation the month it occurs instead of waiting until the home is completed. If you do not have an updated statement showing the option and earnest money checks as cleared then please print a transaction history showing these checks. BE SURE to have the transaction history goes far enough back in history to show multiple transactions that appeared on the most recent statement you provided to us. We need this overlap of transactions as proof that all transactions are shown. Note: a large deposit is typically considered any deposit that is more than 50% of your gross monthly income that didn’t come from your employer or the IRS. We need documentation for any non-payroll related large deposits into your personal bank accounts. For example, if non-payroll deposits are shown then please provide the canceled checks and a written explanation of what the deposits were for. If money is transferred from one personal account to another then please provide a monthly statement for that other account where the money came from. If you are planning on using funds from a 401k and/or brokerage account with non-liquid assets then we will need proof of liquidation of those funds. For example, if you borrow funds from your 401k then we’ll need documentation showing the funds going into your checking account (see “Large Deposits Documentation” above). Moreover, if have a brokerage account and plan on selling some stock for the closing we’ll then need documentation of the sale of those stocks. If you are self-employed and will be using funds from your business account for closing, we will need a letter from your CPA / Bookkeeper indicating that the withdrawal of the funds won’t adversely impact your business. Real Estate Owned is considered any type of real estate that is held in your personal name. Examples: house, lot, timeshare, commercial building, etc.. If Already Sold and Closed: If you have sold your home within the last 90 days then we will need a copy of the executed Closing Disclosure showing the signatures of all parties. If you sold your home over three months ago BUT the mortgage still appears on your credit then we’ll need a copy of that Closing Disclosure. Will Be Sold and Closed Before Your Loan Closes: if your home WILL be sold and closed before this closing but is not yet closed, please provide the title company’s information where that sale will take place – we will then call them and get a copy of the executed Closing Disclosure after closing and a Seller’s Net Sheet in the interim. Will Sell After This Closing: if your current home will NOT be sold and closed before this closing then please provide a brief letter of explanation (i.e. email) for your intentions with the property (ex: do you plan to keep it and rent it out, sell it after you move, let a family live there, etc.). If You’re Keeping Your Current Home: if you can to keep your current home and intend to Convert A Homestead To A Rental Property or keep it as a Vacation Home then please email us with this intent and know that additional asset documentation may be required. Mortgage Statements: If you have mortgages on the properties and if you escrow taxes and insurance please send a copy of a recent mortgage statement(s) for those properties so we don’t double count the taxes and insurance against you. Copy of Deed: If the properties do not have a mortgage then provide a copy of the deed as evidence that the property is owned free and clear. (Or you can have the title company do a search but that may cost you roughly $150). Insurance Info: Please provide the insurance declaration page(s) or Insurance Agent’s information for each property. We can call the Insurance Agent and get the declarations page. Lease Agreements: If you recently acquired a rental property and if 6 months of rental history is NOT on the previous year’s tax return, please provide the executed lease agreement(s) for these properties so we can use the rental income for qualifying purposes. Items in this section may not be applicable to everyone. Please read through them and send any documentation that is relevant to you. If you are a non-resident alien then we will need a copy of your residency documentation. NOTE: at closing, you will be required to bring 2 forms of ID. For VA loan we need a copy of your DD214 and your Certificate of Eligibility (COE). If you currently have a VA home loan but will sell that house before closing on the new VA loan, please let us know so we can help reinstate your entitlement. Please send us a copy of your social security awards letter. Please send us documentation for any pension or annuity income that you would like us to use for qualification purposes. New Job: If you are starting (or have recently started) a new job please provide a letter from the employer stating the terms of employment (i.e. income, pay structure, start or effective date, etc.) Be sure the letter is on the company’s letterhead, signed and dated, includes the start date, local employment address, and terms of compensation. If Relocating: if you’re relocating, transferring, or taking a different position with your current employer then please provide a letter from HR or Manager outlining the details. Have the letter state the following: 1) Acknowledge the transfer of office location and/or acknowledge that you’re able to work from home, 2) Verify your job title and role – let us know whether they will change or remain the same, and 3) Verify compensation amount and pay structure – i.e. let us know whether this will change or remain the same. All pages of the executed divorce decree are required – and “yes” we do realize how much paperwork that is. Please make sure you provide an executed copy (i.e. signed by all parties and the judge). Some states outside of Texas require a divorce decree, a separation agreement, and a decree absolute; we will need all three of these executed documents. Note: Even if we are not using any income from the divorce decree we do need a copy to verify if any debt obligations exist outside of the credit report. If you have declared bankruptcy within the last seven years then please send ALL pages of the executed bankruptcy papers (i.e. the final version with all the signatures). If you have had a foreclosure or short sale in the last seven years, please provide a copy of the executed settlement statement for verification of when it was finalized. If you, your spouse, and/or another person on the loan won’t be able to attend closing and needs a Power Of Attorney then please connect with the title company to create the POA. (Note: any Power of Attorney that you currently have most likely will NOT be acceptable. POAs for a mortgage need to be property specific and created for the sole purpose of the home loan. We will be sending you documents that will need to be signed and returned. Loan Disclosures – During the loan packaging stage we will send you loan disclosures that will contain about thirty e-signature disclosures and six “wet” signature documents. All these disclosures will need to be signed and returned before we can move forward. Credit Inquires Letter – this letter will also be provided in the loan packaging process. The credit inquiry letter is an list your recent credit inquiries as well as past home addresses. A detailed explanation will be required for each credit inquiry and address conflict. Gift Letter (if applicable) – if gift funds are being provided (i.e. money is being used that came from someone that is not a party to the loan) then a gift letter will be required.